The 13th edition of the China International Machine Tool & Tools Exhibition (CIMES) will be held at Beijing's China New International Center from June 22 to 26, 2016. CIMES is a truly global machine tool trading and sourcing platform in the world's largest machine tool market: China. As Asia's leading machine tool exhibition this year, CIMES 2016 will display the widest range of mid and high-end machine tools and tools from leading Chinese suppliers, as well as the latest high-end CNC and Automation technology from top international brands. Demand for machine tools in China is projected to increase 9.2 percent per year to 600 billion yuan in 2017 in the industrial machinery and transportation equipment industries, as well as in the electrical and electronics market. Chinese government also has put robotics technology development as an agenda in their 5 year plan. The domestic machine tool enterprises have accomplished transformation and upgrading by adjusting product structure, extending industrial chain, expanding overseas market, and innovating technologies. Meanwhile, many foreign companies are in an attempt to develop China's high-end machine tool market, such as aerospace, shipbuilding, automobiles, and rail transit. Building global networks through mergers and acquisitions will allow Chinese companies to position themselves well globally and also enable them to expand operations and core competencies. CIMES 2016 will be China's largest machine tool event for the year with a 120,000sqm gross area. Additionally, 1,300 exhibitors and industry experts from over 30 countries/regions will display nearly 3,000 pieces or sets of machinery and tools at the show, including the latest metal cutting, metal forming, special purpose technology, tools, accessories and components, automation and NC systems and a huge variety of other exhibits. Compared to other machine tool events, CIMES focuses more sharply on business matching and is praised by machine tool companies with an ambitious business expansion plan for the China market. CIMES 2016 will deliver buyers from traditional application industries like automobile, aerospace, rail transit and shipbuilding. Buyers from fast-growing emerging industries like medical equipment and new energy also trust this event as a rich procurement channel. Moreover, CIMES will run a Diamond Club program for 1,500 senior business executives and host 500 buyers from across China, making every participant's engagement with the show full of value and efficient. 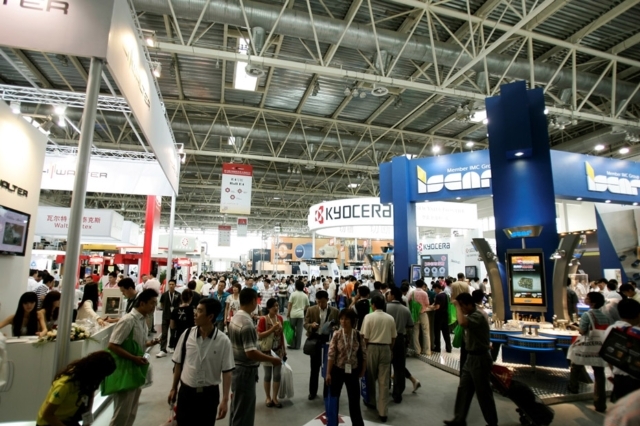 Between June 22 and 26, as well as being a vivid display of the latest manufacturing and processing innovations in the machine tool trade, CIMES will offer participants 20 conferences and at least 30 collocated technical seminars. These sessions, organized by industry groups, trade publications, academic institutions and high profile companies in the trade, will cover a wide array of the industry's most advanced manufacturing technologies and applications. Over 20 years, CIMES has garnered widespread industry acclaim and support from the manufacturing sector, equipment users and local/international trade companies. After over twenty years of development, CIMES has now significantly enhanced its international profile. 2016 show will be a major highlight on the machine tools and manufacturing industry calendar.